Shampoo gently and effectively cleanses and revives the hair to leave it nourished, manageable and strong.High-performance formula infused with antioxidant-rich argan oil, reconstructive keratin and fatty acids mends broken strands to restore elasticity, moisture and shine. Colour-safe. Sulphate-free, phosphate-free and paraben-free. 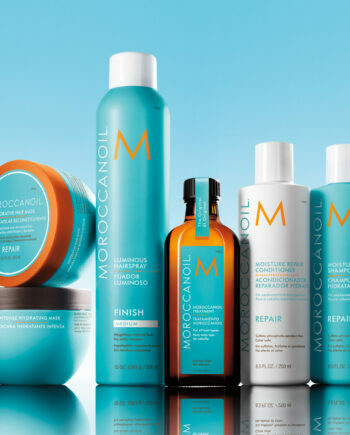 For hair that has been weakened or damaged by colour, chemical processing or heat styling, Moroccanoil® Moisture Repair Conditioner gently and effectively detangles and revives the hair to leave it nourished, manageable and strong. Efficiently repair weak, damaged hair – this restorative formula infuses protein back into the weakened hair shaft, helping hair become stronger and more beautiful. 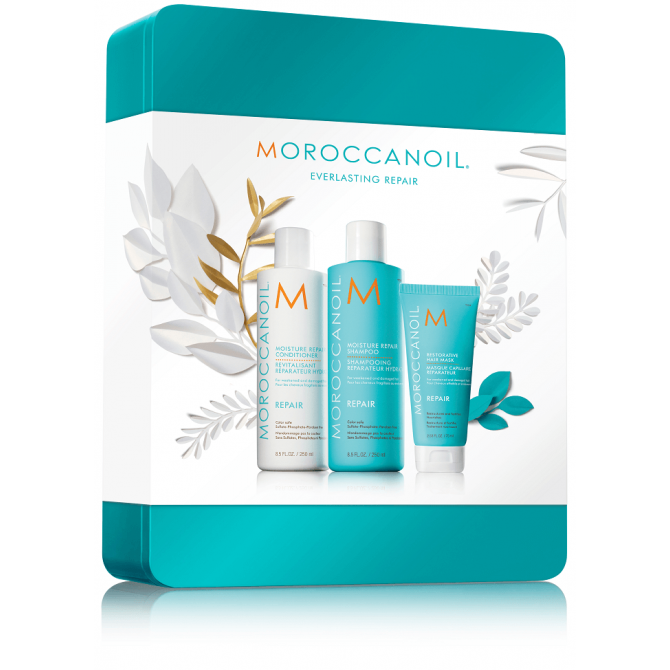 This high-performance mask is rich in Argan oil and protein to fortify and restructure hair. Help to put back what chemical treatments and heat styling take away from hair.